Have you been searching for an honest review of the GPT site Cashcrate and wondering what exactly this site has to offer you? If you have landed on this review then you may have questions like what is Cashcrate? Is this another scam or a legit way to earn extra money in your spare time? I’ll be answering these questions and the many more that I’m sure you guys have on the tip of your tongue in the following review. If you have ever wondered how this system works and whether or not it’s legit then you’re going to want to stick around and continue reading this review in its entirety. 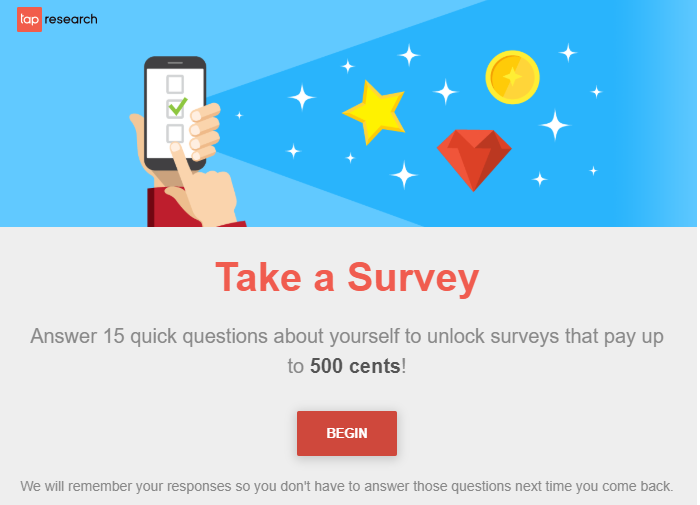 If you have been searching for a fun and easy way to make some extra money taking surveys, participating in daily polls, and completing trial offers, then you have definitely come to the right place. I have actually had several people email me and ask me to do a thorough review of this system to see if it’s worth their time before they waste any of their precious time to only earn a couple of bucks here and there. In the following review, I’ll be giving you guys an inside look at what you can expect before you join and give this company any of your personal information. Without further ado, let’s get started, OK? Cashcrate is another GPT (Get Paid Too) type of site that will pay you to complete simple tasks, take surveys, watch videos, and a plethora of other things available within the member’s area. They have actually been around for nearly 13 years now and counting (Early 2006) and within that time they have created quite a community of people. Would you guys believe that there are millions of people around the globe who are getting paid to do things like surfing the net, providing their honest opinion on controversial topics? Not to mention the fact that you can also earn affiliate commissions 4 levels deep and get paid up to 30% of whatever your direct referrals earn. As I was doing my research for this particular program I noticed quite quickly that they were pretty unique and had one feature that I haven’t seen with any other GPT site in the online industry. What feature would that be you may ask? That’s what I’ll be getting into here in a few minutes so I would advise you guys to continue reading below for all the juicy details. The entire sign up process is pretty straightforward and self-explanatory, but for those of you who would like me to map this out in my usual 1,2,3 step method, I would be more than happy to do this for you guys. Once you arrive on the signup page, you’ll need to provide a few details to get started that include a valid email address and creating a unique password that you’ll remember and you’re golden. After you have filled out your profile and entered a few demographics about yourself you’ll land on a page that’s similar to the one you see below. As you can see in the screenshot above, there are a variety of ways that you can earn money here and the signup process is as easy as 1,2,3. As you can also see, I was able to earn $2.15 in little to no time, shortly after I signed up, so the income potential is here but it can take a while for you to see any consistent income with this program when you first sign up. You can initially earn $1.50 by filling out your profile in detail and completing a few of the getting started surveys which take less than 5 minutes to go through. For me tho, however, I was able to earn $2.15 by completing a few daily tasks and checking in for the day. These 2 tasks alone paid me an additional 50 cents which may not seem like a whole lot for some people, but it allowed me to reach the next income bracket and move up to the next level so it’s all good. 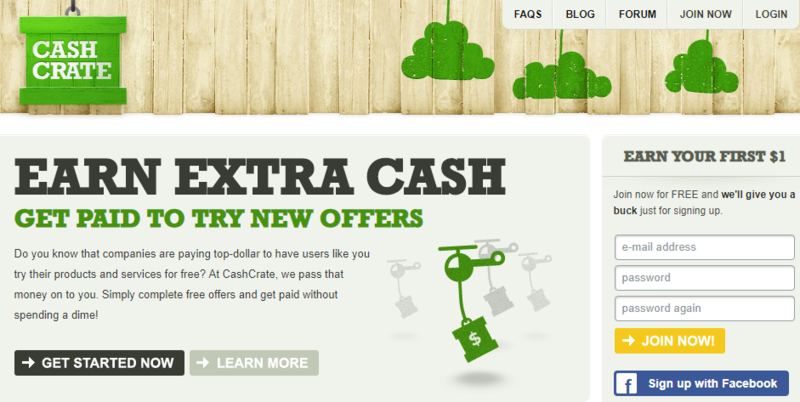 What Makes Cashcrate Stand Out Above Other GPT Sites? Unlike other sites of this nature that usually operate on a point system, Cashcrate prides itself on the fact that they pay cash for every survey, poll, a video you watch, or anything you do that requires compensation. The problem with most other surveys in the online industry is that points don’t always get awarded due to glitches and errors within the point system. Cashcrate eliminates this problem altogether by operating on a strictly cash-only system. I can remember several times that I would have to contact support for missing points with many other survey panels that I participated in and this would usually take days before my account was properly credited. If you’re looking to join a fun site that will pay you for your opinions as well as give you a variety of other options to earn cold hard cash if surveys aren’t your thing then you should definitely give CC a try to see how they can help you. Who Is Cashcrate Geared Towards? This system is actually targeted towards several different groups of people but the main audience that it’s geared towards the most would be the stay at home moms and dads who are looking to earn some extra cash. Whether you’re a stay at home mom looking to help your spouse out with the financial workload that is constantly looming over his/her head or if you’re simply looking for beer money or you want to take your wife out to eat. This site is for you and can help you out if you aren’t afraid to give out some of your personal information and possibly your credit card information. This site would also be ideal for teenagers who are looking to score a few bucks to go see the movie all their friends are going to see this weekend. In a nutshell, this site is geared towards just about anyone who is interested in earning money taking surveys and much other fun & relevant tasks. As I continued to do my research on this system I was quite delighted to discover that there are actually quite a few ways for you to earn money with this system and I’ll be sharing them with you guys below. As you can see it is entirely possible for you to earn nearly $15 a day or possibly more if you are good at taking surveys and know exactly what answers they looking for to earn the most with these types of systems. Obviously, you would need to be an expert survey taker before you are able to earn this much from surveys alone. See any offers that you would like to participate in? While some of the offers that you’ll find on the offer wall to be free, there is also a good deal of them that I encountered that required a credit card to join. I would always be extra cautious when giving out any of your personal and financial information to a company you know little to nothing about. Also, please take the time to read what each offer entails before agreeing to participate in anything as it may require entering your personal as well as financial information before proceeding to the next step. Tap research is one of their most recent additions to the site and one that I think was much needed. Now all I need to do is click on the tap research and answer 15 questions about myself to unlock surveys that pay up to $5 each. 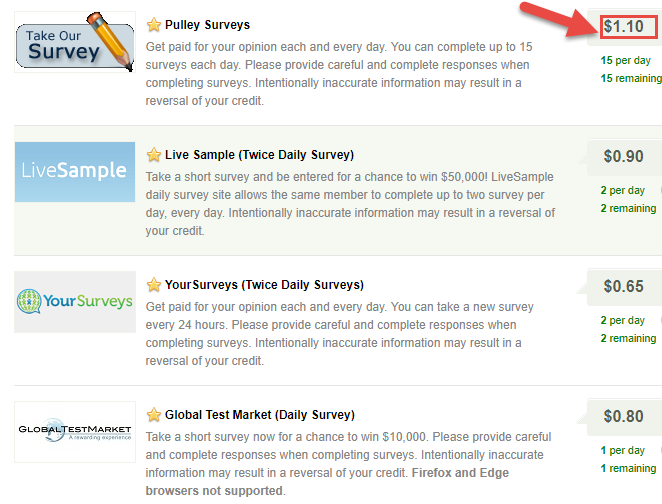 Yes, you read that right, $5 for each survey you successfully make it all the way to the end with no issues of any kind. 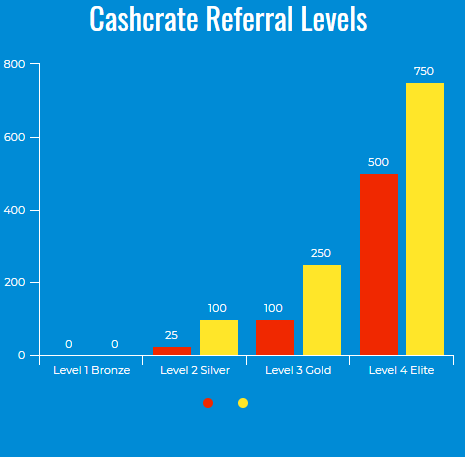 The referral program that Cashcrate has created is pretty unique and unlike anything that I’ve ever seen from any other GPT site of this nature. With most programs that you encounter online, you’ll usually get paid a certain percentage of your referrals earnings and thats about it. 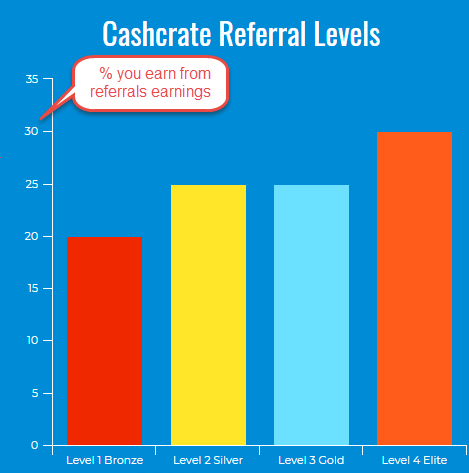 However, with the Cashcrate referral program, you can earn money on 4 different levels and start to build your rank and authority within the community while you’re at it. As if that wasn’t enough to motivate you to get out there and share this program with as many people as you possibly can, then, think of this as the cherry on top that seals the deal. Let’s say that the people who you directly sponsored into this program goes out and refers a bunch of people into this system as well and they start earning money. You would receive a percentage of their earnings as well and this is something that no other survey/ GPT site has ever done before until now. They also provide you with all the necessary banners and marketing materials needed to successfully market this site to your friends and family and earn some money while doing so. I’ll be going into complete detail on how their compensation plan works in the next section so I encourage you to continue reading for all the details. Their referral program is one of a kind and this is one of the particular features that drew me into this program and intrigued me to find out as much as I could about it. Like I said earlier there referral program consists of 4 levels and I’ll be explaining what perks you’ll unlock with each level in the charts below so feel free to check them out. Allow me to clarify what’s going on in the chart above in case there is any confusion. I was trying to figure out how to incorporate this into the chart itself to make it look more professional but unfortunately, I haven’t been able to figure this out so I’m just gonna list it here for you guys. The red that you see in the chart above stands for the number of active referrals that you’ll need to have under you to reach and maintain each of the levels you see listed above. The yellow represents how much in affiliate commissions you’ll need to earn before you move up within each level. There are also a few perks that you’ll unlock with each level and I’ll be listing these as well for you guys below. 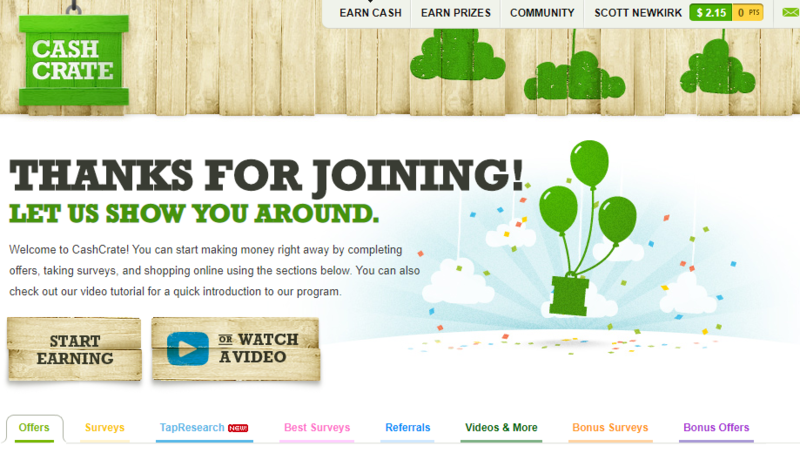 Earn $1 for each referral who completes their first survey or cash offer. Overall, I think this is an excellent GPT site with many different ways to earn money. With the exception of the trial offers that require you to enter your CC details everything else checked out fine with me. 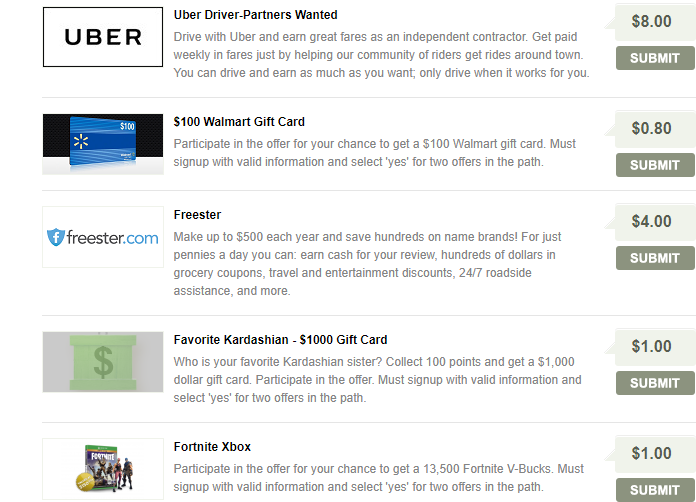 If you’re looking for a way to earn money completing surveys and participating in offers as well as taking part in their referral program, then I would highly recommend that you check into Cashcrate to see what this GPT site can do for you. I have reviewed many GPT (Get Paid Too) type of sites in my 6 years as an affiliate marketer and nearly 60 to 70 % of them are garbage. 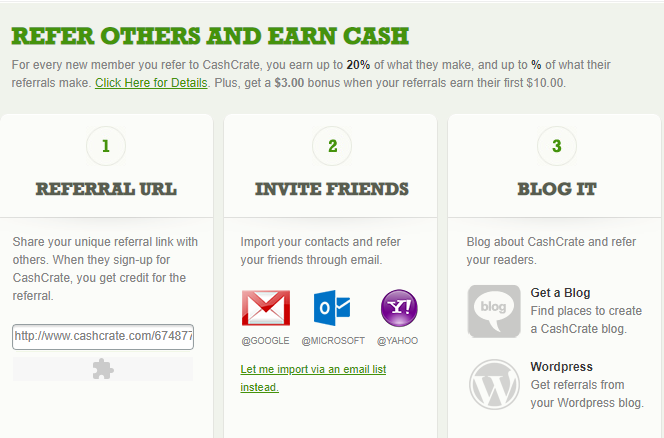 However, Cashcrate happens to rank in my top 3 survey/ GPT sites that I would actually recommend for earning extra money. I really hope this Cashcrate Review has given you guys an inside look at what you’ll be doing before you decide to become a member. Still have questions or confused about any particular section above? I would love to hear from you guys and answer any questions that I failed to answer in this review within the comments section below. I would also like to know how your experience was with Cashcrate? How much money were you able to earn so far? Did you participate in their referral program and if so how much have you earned so far? I look forward to hearing your answers to these questions and helping you guys succeed with this GPT site as much as I possibly can. This page has got to be the best that I have run into by far as far as synopses and recommendations of anything I have found on the web regarding survey sites. Do you offer a newsletter or anything like that? I’m glad that this review has helped you out and that I was able to provide you with only the best survey sites that are worth your time and actually pay. At the present time, I don’t currently have a newsletter just yet but I am working on adding this feature in the near future. If you would like to stay connected with all the latest updates and keep in touch you can follow me on Facebook here!! This is where I post my latest blog posts, survey opportunities, and other valuable information. Thank you so much for stopping by and letting me know how much these reviews have helped you Rob.